We often make this soup on a busy weekend when we want something quick but satisfying. It doesn’t require “cream of…” soup but comes out creamy and delicious anyway. The beauty of this soup is in its flexibility. You can add various ingredients to make it heartier, or leave it basic for a quick and light lunch. If you are watching your calorie intake, it is easy to do with this recipe: add as much or as little cheese as you want. I found that a little amount of good quality cheddar goes a long way. You are definitely not giving up taste in order to eat healthy with this one! Note: this is not a “stick a spoon into it” kind of soup because I like to keep it on a lighter side calorie wise. 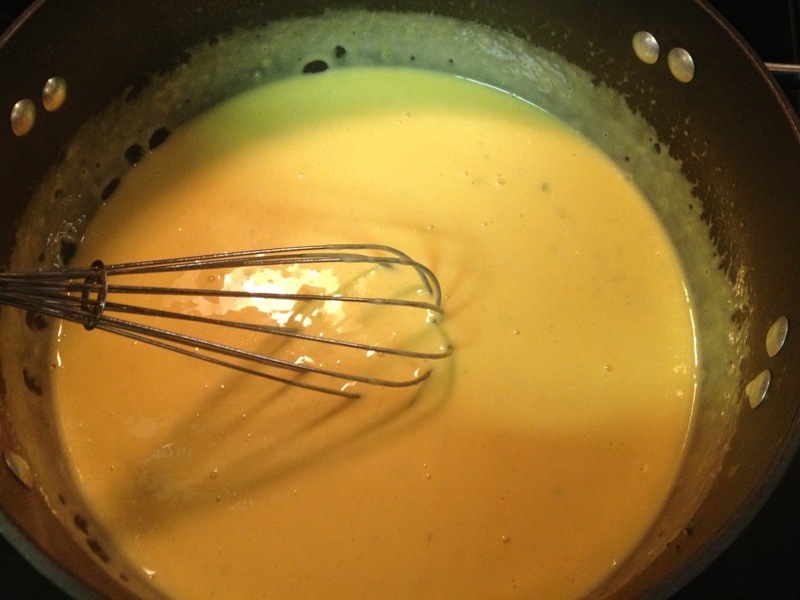 To thicken it you can 1) add a tablespoon of cornstarch mixed with 2 tablespoons of cold water at the very end of cooking, bring to a boil, or 2) add more cheese or heavy cream, if you are not concerned with calorie count. 1 cup cheddar cheese, grated (or whatever hard cheese you have on hand). Use more or less if you like. Salt and pepper to taste (depending on the saltiness of your chicken broth). 1. 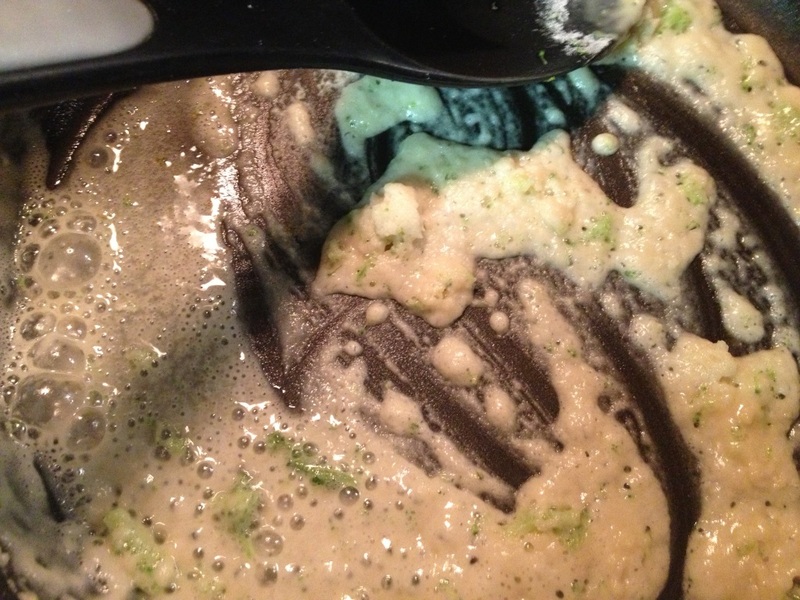 If using frozen broccoli, microwave it according to package directions, drain and set aside. 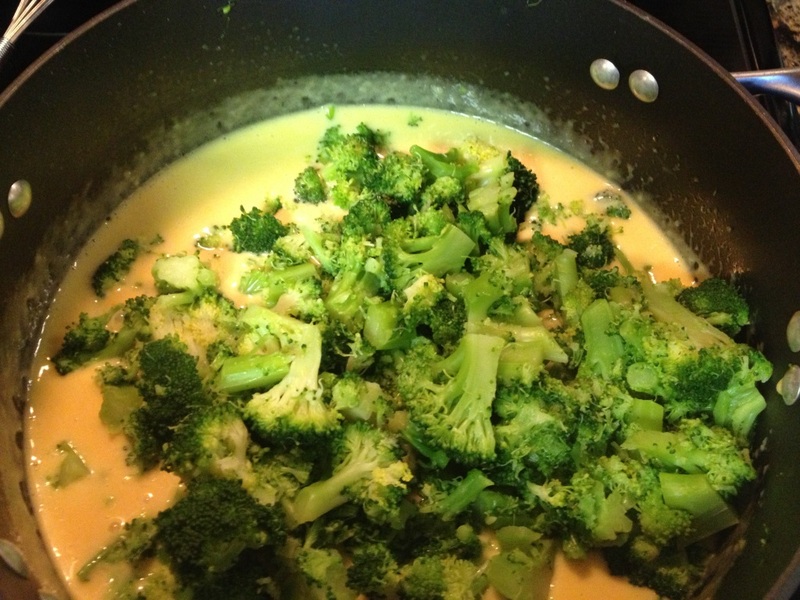 If using fresh broccoli, bring 2 inches of water to a boil in your soup pot, add broccoli and steam until tender about 4-5 minutes. Drain and set aside. 2. 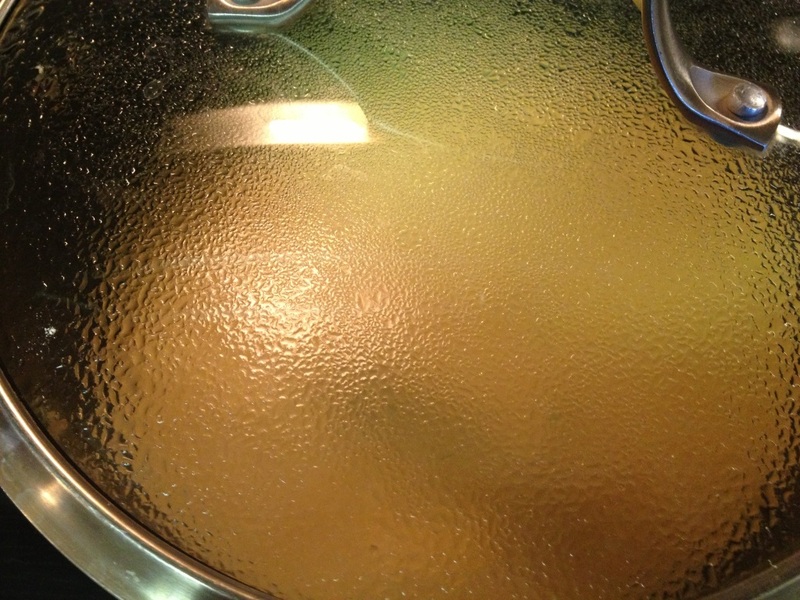 With your soup pot on medium-high heat, add oil and flour and cooking stirring for a couple of minutes. At that point add water or chicken broth a cup at a time at first, stirring vigorously. It will look lumpy– that is normal. 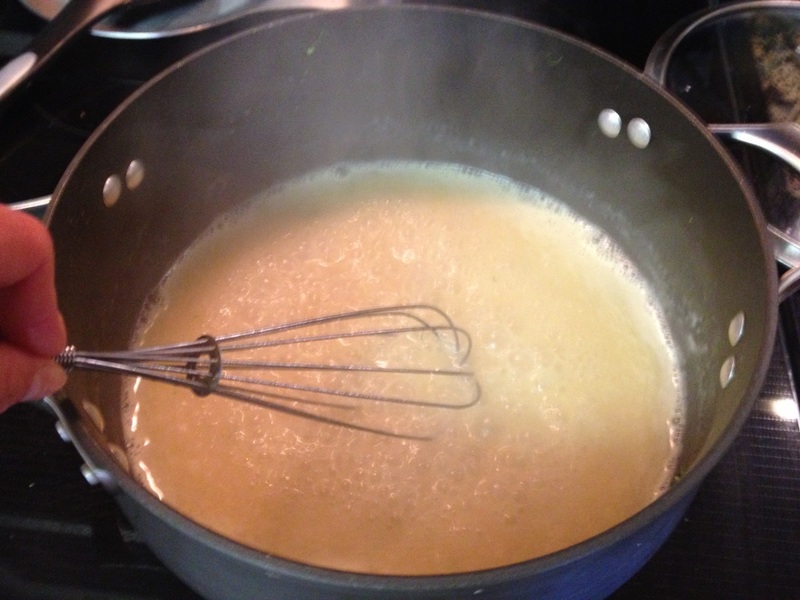 Just keep stirring and adding broth or water in a steady slow stream. 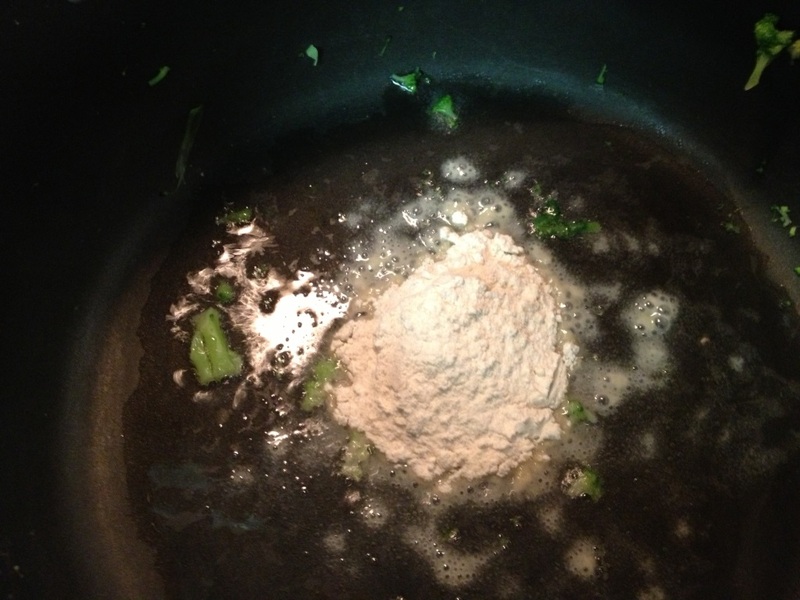 Now you should have almost no big lumps (if you do, give it another aggressive stir). Small lumps are fine, they won’t affect the final texture. 3. Now turn the heat to low, throw in your cheese, stir, and cover. Let the cheese melt 2-3 minutes. 4. Almost done! 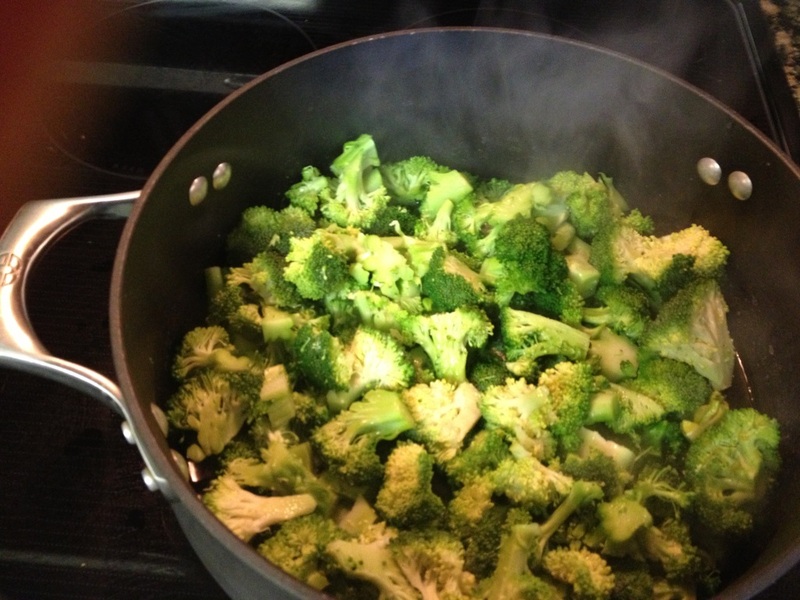 All you have to do now is return your broccoli to the pot, stir everything to combine and season to taste with salt and pepper.